Field prismatic binoculars , BPOs 7x30 Russian production (the letter "C" indicates the presence of angular mesh) are suitable for observing nature while hunting, Hiking or traveling. The classic design is made on the basis of the standard system of prisms Porro. Eyepieces represent the gluing of the 7 lenses, provide good resolution across the field of view. The image is bright and clear without distortion and with natural colors. Large eye relief (22.5 mm) allows you to observe without removing the points (the letter "O" in the title). High-aperture lenses of the binocular , the 7x30 Baigish BPOs will provide a good picture, clear and bright, even in the case where observation is conducted in the conditions of insufficient natural light. Due to the wide field of view (8,3°) greatly expanded the area of review, in the view of an observer gets a greater number of objects. Separate focus allows you to adjust the sharpness separately for each eyepiece. For comfortable use, you must configure the appliance under the base of the eye, regulating the position of the tube lens relative to the Central axis (adjusting interpupillary distance), you can also perform a diopter adjustment. The body of the binoculars are made of light aluminum alloy, resistant to mechanical damage and temperature extremes. The surface is completely, rubberized case,-coated, due to the ribbed inserts the device comfortable to hold without fear of slipping. 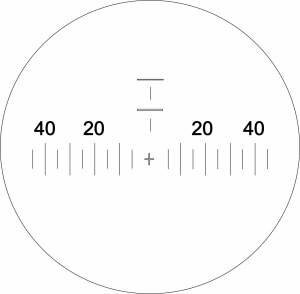 Hunters operating confidently "Miami" popular hunting reticle Mil-Dot, easy to use and the grid, as "mil" is the same as the thousandth part of the distance. For other users I recommend to train. For example: the average body length of an adult boar a little more than 1.5 m, if it "fit" 1.5 large fission – to him of the order of 100 m if one is approximately 150 m if in one small division of about 300 m. the supplied binoculars KOMZ 7x30, BPOs. Comes with a linked protective covers lenses and eyepieces, neck strap. Experts of our online store will provide the most complete information about the main characteristics and design features of binoculars Kazan optical-mechanical factory (KOMZ). Post your question on the website or call us at (495) 989-10-56.